Begins: 7:30 a.m. with waves of 275 athletes every 15 minutes across five heats (elite, confirmed, morning, late morning, afternoon heats). Distance: 12+ miles. The fastest time should be around 180 minutes. 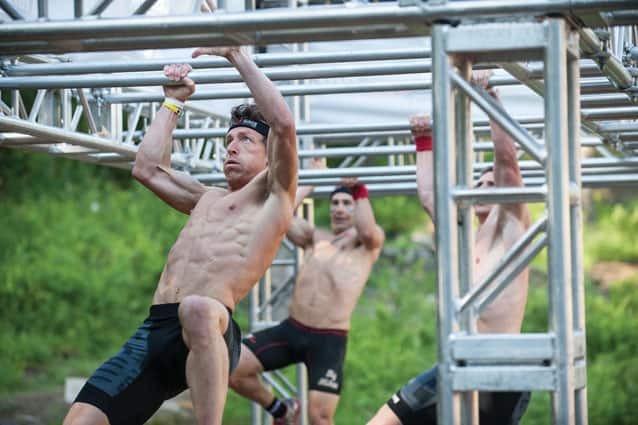 The World Championship in Killington will also serve as the first round of the 2014 Reebok Spartan Race Triple Crown — the first-ever championship series of obstacle racing. Althletes will battle it out at three of four Reebok Spartan Race events starting with the Reebok Spartan Race World Championship on NBC and concluding in Texas with the first-ever Reebok Spartan Race Team Championship. The Spartan Race is not only limited to adult fun! Kids can participate in their very own Jr. Spartan race. Begins: 10 a.m. with waves leaving every 30 minutes until 2:30 p.m. Distance: 1 mile for varsity; 1/2 mile for junior varsity. Begins: 8 a.m. with waves of 250 athletes every 15 minutes across five heats (elite, confirmed, morning, late morning, afternoon heats). Distance: Approx. 4 miles. The fastest time should be around 35 minutes. Held on the same terrain as the World Championship. Begins: 6 a.m. for the Elite Ultra Beast and 6:30 a.m. for the Open Ultra Beast. Distance: 26+ miles. The fastest time should be around 5 hours. The Ultra Beast is considered an exorcism. There is no map or details for the course. The course is a Sprint distance with all the classic Spartan obstacles and all rules will be strictly enforced. Top teams win prizes for charity.